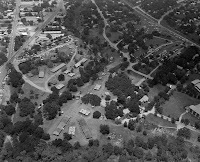 An aerial view of the Texas State Arts & Crafts Fair, Schreiner College campus, Kerrville, 1972. Years ago the late Rod Kennedy gave me a remarkable document: a program from the first Texas State Arts & Crafts Fair (of which the first Kerrville Folk Festival was a part). It is remarkable for many reasons: its words, pictures and design evoke a spirit that thrived in this place in the summer of 1972. From the welcoming letters printed in the front of the book from Governor Preston Smith, Schreiner Junior College and Preparatory School President Sam Junkin, and the first Executive Director of the Arts & Crafts Fair, Phil Davis (of the Texas Tourist Development Agency), all the way to the list of exhibitors (including my dad and an old platen printing press) – you can tell that Kerrville was on the ball, making a difference for itself in the state. It’s refreshing to read the program, filled with its optimism and state public-relations department text. The program is filled with ads for the expected restaurants and hotels – but also packed with ads for real estate. I wonder how many families came to the fair, bought property here, and made Kerrville their home. I was 10 years old during that first fair and festival, but I remember it clearly. 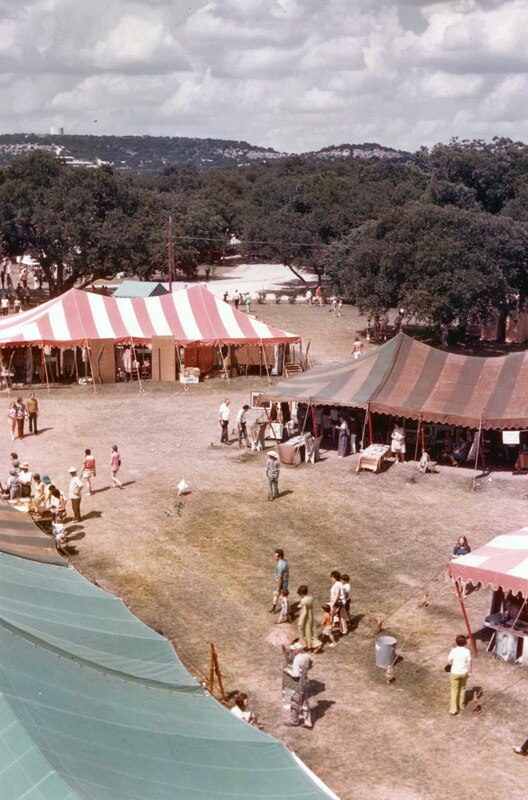 During the day I helped Mom and Dad at the tent where our old iron letterpress was on display (and running, printing maps of the fair), helping man the front desk in the tent. We were the first tent inside the entrance, and we printed a ton of maps right there. I sure wish I had one of those old maps. I also remember it was blazing hot. 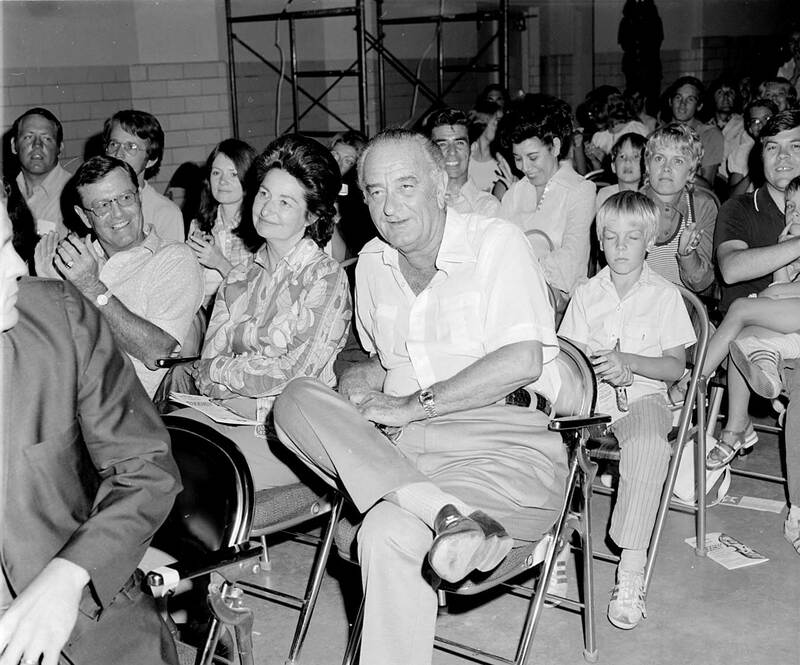 Lady Bird Johnson attended one of those early fairs. I gave her a map. 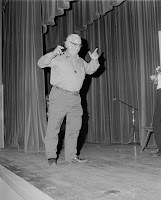 Phil Davis wanted to have music at the fair, so he contacted Rod Kennedy, then a music producer and radio station owner in Austin. 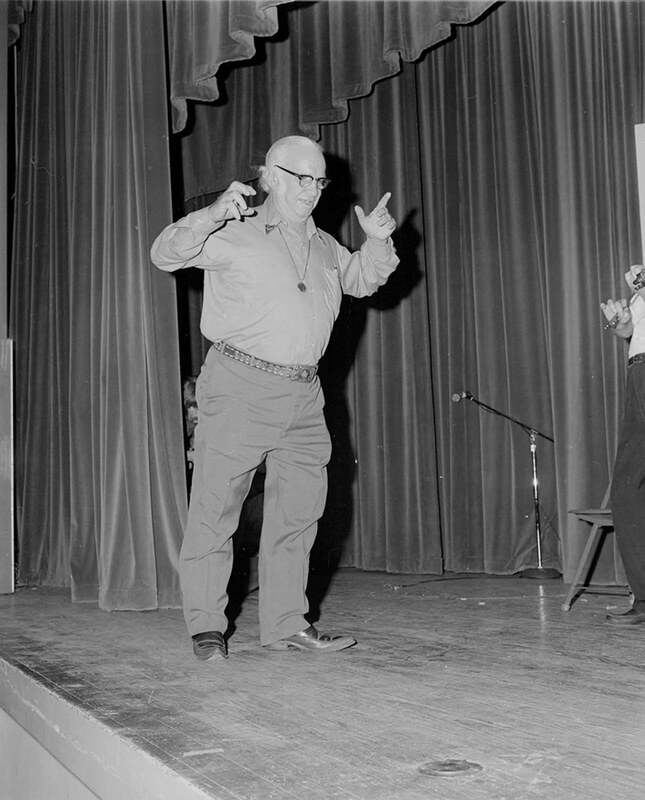 I remember attending the first Kerrville Folk Festival, at the Kerrville Municipal Auditorium, listening to performers like Peter Yarrow, Allen Damron, Kenneth Threadgill and Carolyn Hester. I’m afraid I didn’t make it through the entire show, falling fast asleep after a hard day at the fair. 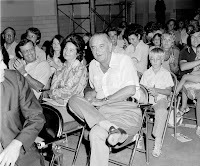 Ladybird and Lyndon Johnson attended the folk festival that evening, too, along with Darrell Royal. 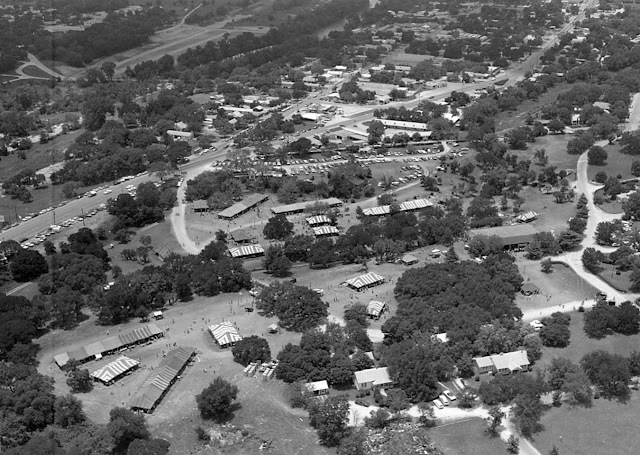 A lot of folks worked hard to get the fair to Kerrville, including Gene Lehman, who I hope to visit with soon and get the “rest of the story” about how the Texas State Arts & Crafts Fair chose Kerrville as its home. 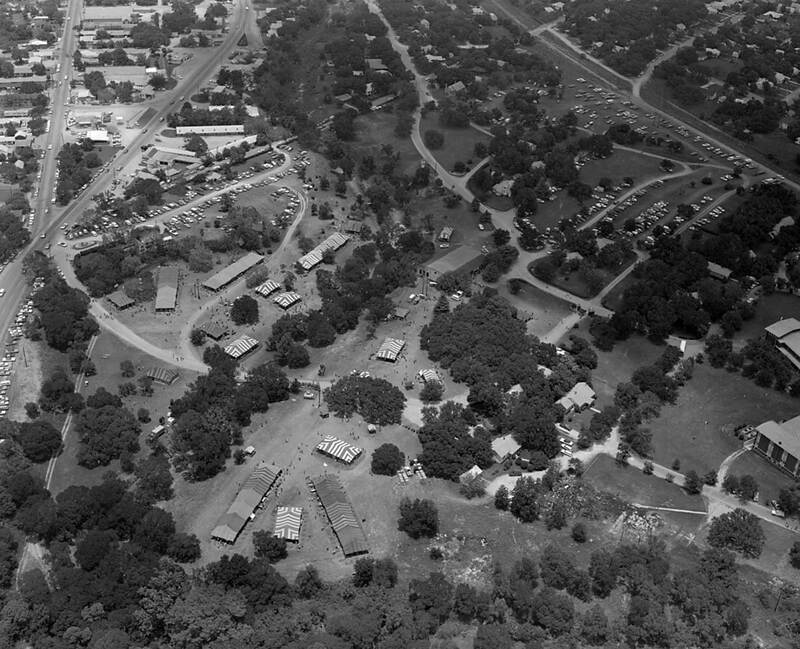 I’m thankful to the folks at the Hill Country Arts Foundation for giving new life to the fair. Joe Herring Jr. is a Kerrville native who remembers how hot it was during that first fair. Moving it to October is a good idea. This column originally appeared in the Kerrville Daily Times September 29, 2018.